PREMIUM CORNER LOT THAT FEATURES A FENCED IN BACK YARD! 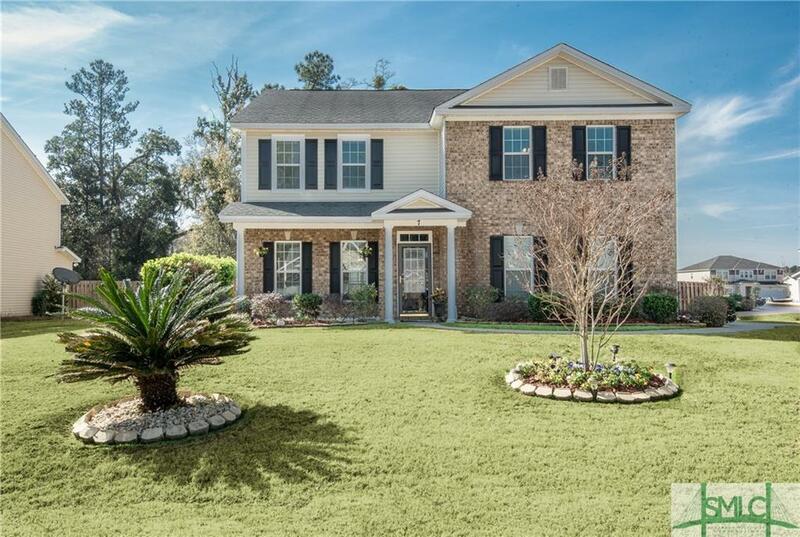 Situated in the charming Bradley Point Subdivision, this home is fit to be your private oasis! This boasting 4 bedroom 2.5 baths is an open floor plan that features stainless steel appliances and an island with a breakfast bar that over looks the fire place. The kitchen provides plenty of cabinet and counter top space for storage. The new home owner will be delighted with the immense amount of backyard space this corner lot offers. Master bedroom with en-suite, which is just off from the spacious loft at the top of the stairs, offers a private, quiet and peaceful retreat. Master bath features separate shower, garden tub and double vanities. Neighborhood amenities include community pool, tennis court, rent-able clubhouse, playground and fitness center. **Seller may offer home warranty. *Seller may offer 1% military discount that can be taken off the price or used toward closing cost & pre-paids with full price offer.